Tryptophan with Griffonia extract and Vitamin B6. It helps to achieve a restful sleep. Improves our mood and sleep. It is made from plants and provides vitamins. L-Tryptophan. It provides 500mg of L-tryptophan per capsule. Tryptophan, Magnesium, Vitamin B6 and more. Support for weight loss, increasing the metabolism and improving mood. There are some periods throughout the year when I struggle to sleep, spring is definitely one of them. So, what I do is I take L-tryptophan and sometimes I combine it with Melatonin if I am struggling a lot. It is the only way for me to get a restful sleep sometimes. Why should we take Tryptophan? Tryptophan is one of the essential amino acids that are necessary for the organism. The body cannot produce them on its own, which is the reason why they must be supplied through the diet or a dietary supplement. Tryptophan, also known as L-tryptophan, provides countless benefits for health. One of its most important properties is that it improves the mood due to an increase in serotonin, which is a neurotransmitter that produces a feeling of satisfaction and happiness. It also helps people who suffer insomnia to fall asleep. It reduces depressive moods and helps athletes to improve their physical performance. Tryptophan is a dietary supplement that is available without medical prescription, and it can be used to treat some pathologies, or to compensate for a possible deficiency of this substance in the organism. It is a proteinogenic amino acid that the human organism needs for several functions. It is produced naturally in plants and in proteins of animal origin. When the body absorbs this amino acid, either through nutrition or dietary supplements, it is transformed into 5-hydroxytryptophan which, at the same time, is transformed into serotonin, the hormone that is responsible for the transmission of signals between nerve cells. A deficiency can trigger serious mood changes. It is found naturally in many foods that are rich in proteins, such as red meat, eggs, poultry, cheese, milk, yogurts, fish, bananas, peanuts, oats, chocolate, spirulina, and sunflower seeds. Even though it is present in all these foods, a bad diet can lead to a deficiency of this substance in the organism. Tryptophan dietary supplements compensate for this deficiency and the negative effects that a lack of tryptophan can produce in the body. The levels of this amino acid must be kept in a stable proportion to ensure the proper functioning of our body. An increase in the levels of serotonin helps us to sleep more deeply, improves the physical performance, relieves depression and anxiety and, sometimes, it can prevent us from grinding our teeth at night. Taking tryptophan during sport activities or physical exercise reduces the symptoms of fatigue. Even though many athletes stand the physical pain, others need to stop when they feel pain because the human brain is telling the body to cease the activity. A lack of mental willpower is the main reason why most people end up giving up sports. 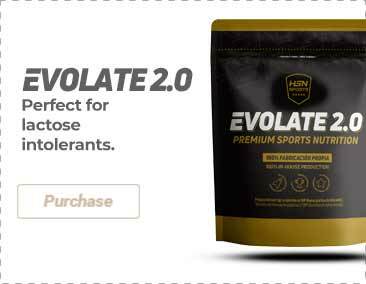 In some cases, the increase of this amino acid can increase the physical performance and resistance of sportspeople and athletes. Therefore, it is a supplement that is meant for those who have a positive attitude, and who are not going to be distracted from their goals. You can Buy Tryptophan at the best price at HSN. The HSNessentials tryptophan nutritional supplement comes in vegetable capsules and it provides 500mg of Tryptophan per vegetable capsules. Moreover, it has Vitamin B6 and Vitamin B4 in its composition. Purchasing Tryptophan is a great choice for those who want to get a restful sleep and a better mood. Tryptophan – All you need to know! Tryptophan or L-tryptophan is an essential amino acid that favors a good mood and it helps with the production of certain hormones in a completely natural way. Those foods that are rich in tryptophan or tryptophan dietary supplement provide relaxation, favor a restful sleep, and reduce the anxiety and depression.